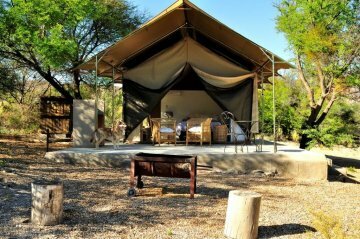 Our Luxury Air-conditioned tented Private bush camp, peace and quiet that only camping can offer yet the comfort and convenience that you can expect from luxury accommodation, plenty of space for outdoor activities such as walking, cycling and mountain hikes.Each tent is fully equipped for self catering. 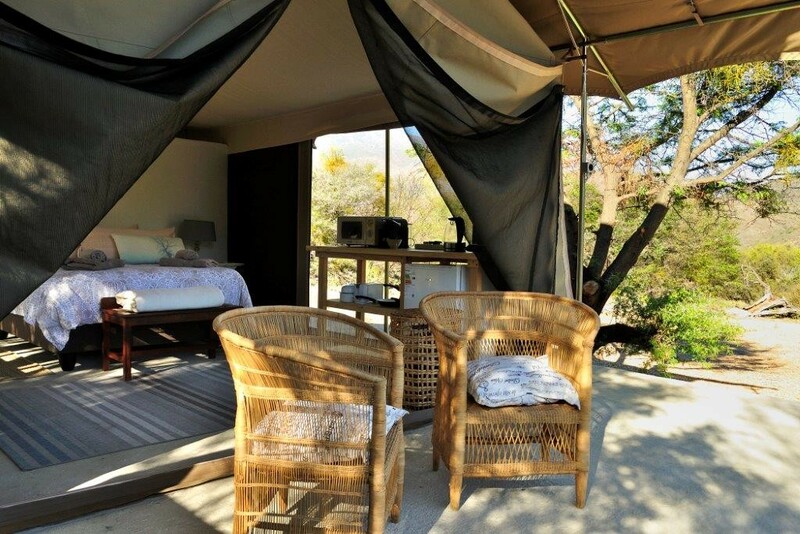 For your convenience we included a small fridge, a microwave oven, an induction cook plate, kettle, Nespresso coffee machine and braai facilities. (No oven). Each tent has its own private bathroom with shower, toilet and wash basin. Just outside a fun open air shower has been added for those hot summer days or nights. Both the inside bathroom and the outside shower has warm and cold water. A unique adventure awaits our guests. 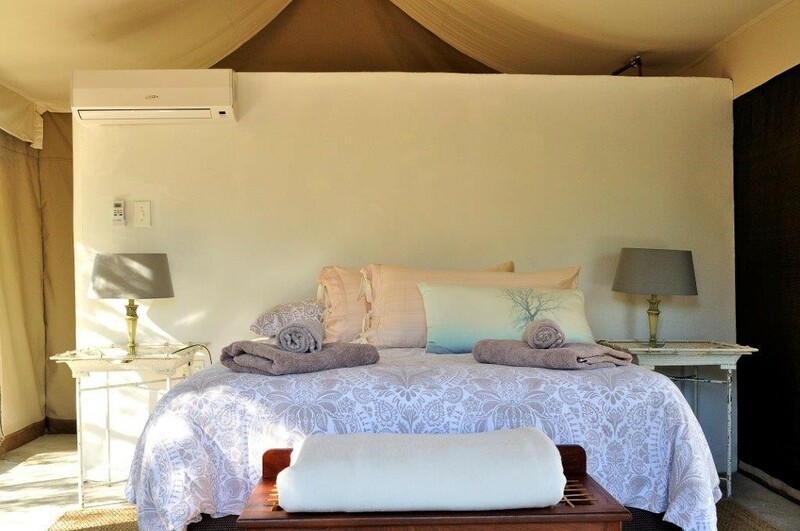 Relax in totally privacy in the natural Little Karoo bush life with spectacular views over the mountains. 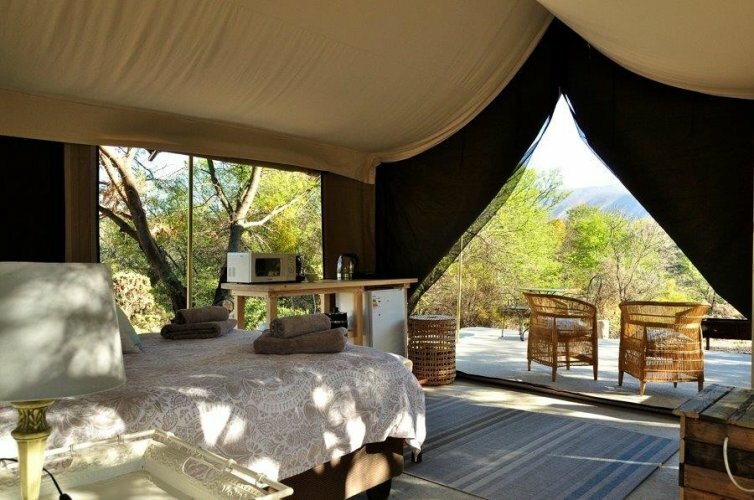 Take a hike or plunge in the pool or expore the beautiful historic town of Montagu only 5km away.Wine farm within 2km - conference and wedding facilities. Meander down R62, you are on the doorstep of the Breeriver wine route with award winning wineries and restaurants.